Hate trying to think up new passwords? 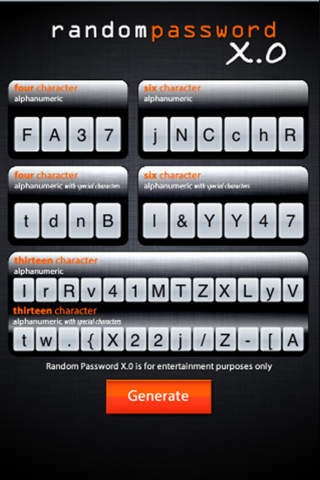 Create random passwords at the click of a button. Simple to use and robust, you can create standard and alphanumeric passwords on the fly. Each time the button is clicked a new set of passwords is generated.